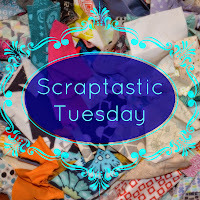 I’ve been busy sewing and not blogging, but today I have got some scrappy makes to share. Made from scraps from her Hazel Hedgehog quilt. Need I state the obvious that neither of these took an hour? The piecing was the longest bit though and I think that once the panels were pieced an hour is about right. These photo’s were taken recently after a month or so of use; I don’t know what the interfacing is, it’s just from stash but it gives them quite a good structure, not at all floppy. 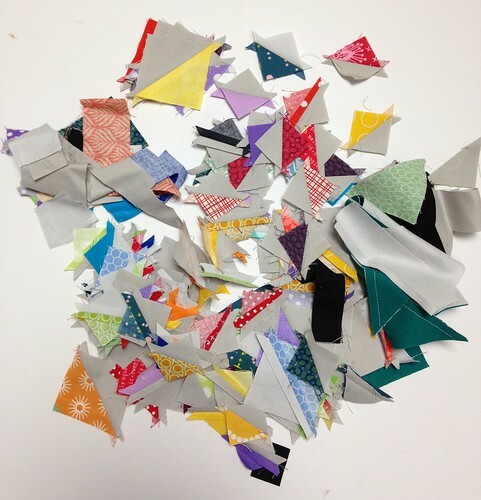 In a drawer I had a bag full of 1.5″ squares, I’m not sure why. I must have cut them a long time ago for something and never used them, there were a lot of old prints in there and a lot of pink. I thought I’d piece them and then quilt them all in to the right size panels. 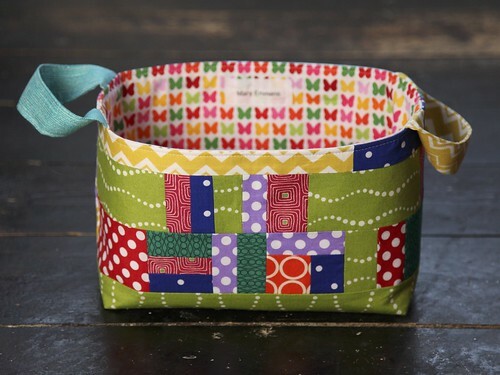 I used this tutorial when I made a laptop case for Tobit (over five years ago!) and referred to it again for size calculations and construction tips. 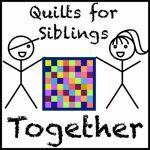 At some point things the quilting went a bit wonky, none of it is particularly visible in the photo’s and too be honest I didn’t really mind the wonk. 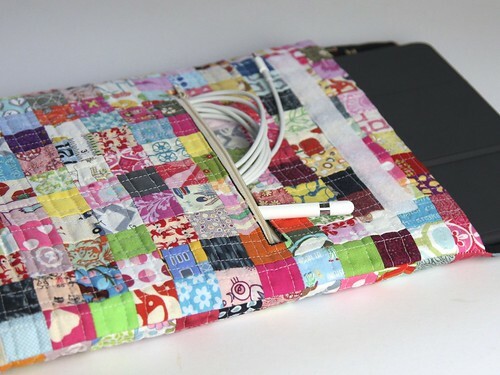 I added a large zip pocket to the front of the case for the cable and iPad pen otherwise both are likely to be lost! Those HST units at the top right of the photo are just 1.23″ square! I stitched the offcuts as I sewed the whale sections while the pieces were together, it didn’t take much time and now I have a bag full of bits to do something with! 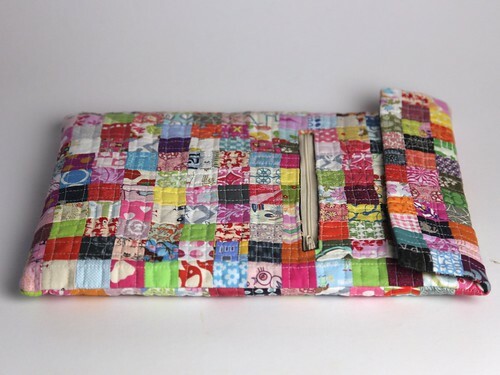 These are approx 2.25″ square so a slightly easier more usable size! 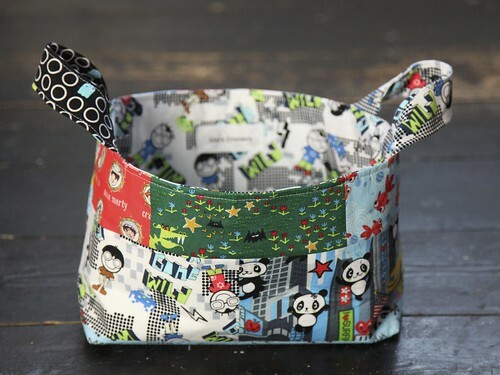 I’m off to link up and be inspired by everyone else’s scrappy makes, you never know I might find an idea for all those little bits above! I like very much your red, blue and black HST piles ! 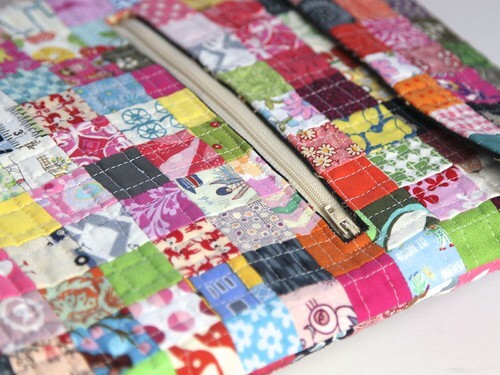 It could really be a great modern mini quilt. 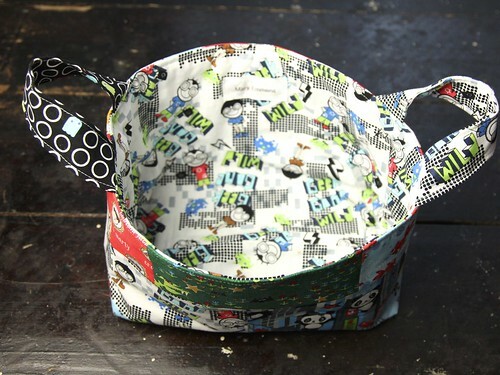 Lovely scrappy makes. I save every bit too as you never know when it will come in useful. These are lovely scrappy finishes!! We’ve had an iPad for almost 3 years now and I still haven’t made a cover ….. although this scrappy one may just inspire me! Love Bethan’s basket! Thanks for the link to the lap top tute! Love your one hour baskets. Thank you for this link on them. 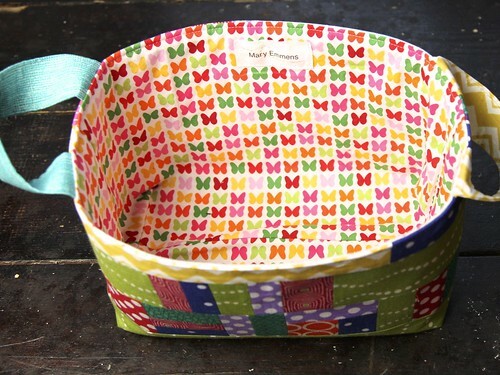 I love the idea of making the baskets from scraps from the girls’ quilts! 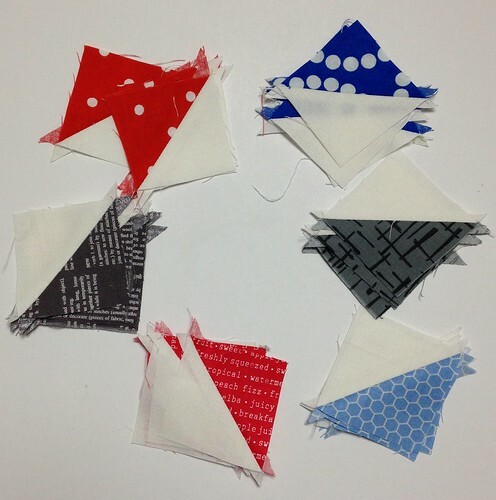 I have a pile of small HSTs from the blue and white quilt I’m (still) making and, at some point, I’m going to make them into a couple of cushions to go with the quilt. I wonder which I’ll finish first: the cushions or the quilt? !